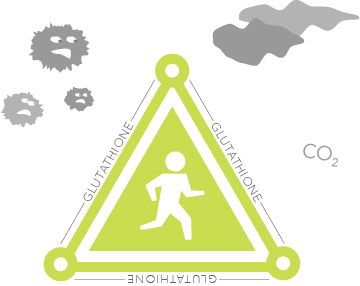 Glutathione (pronounced 'glue-ta-thigh-on'), or GSH, is three uniquely bound amino acids (peptides) used by the human body to protect against chemical and environmental threats. This tri-peptide is found in every cell throughout the body. GSH stands for Glutathione with a Sulfur / Hydrogen bond which unites the molecular structure of the three amino acids. 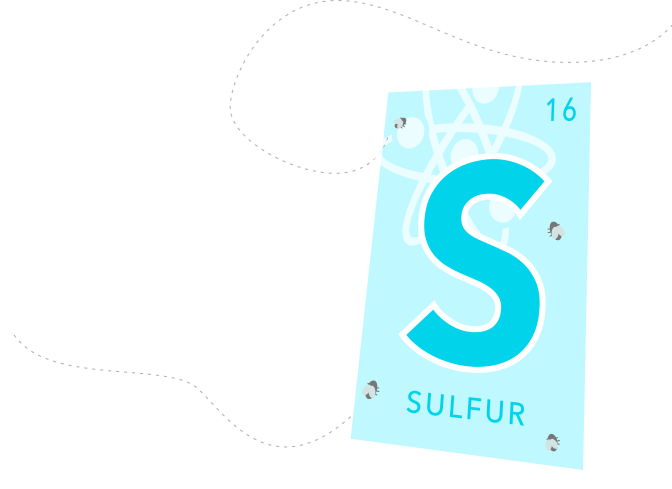 This unique sulfur / hydrogen bond is the key to unlocking optimal wellness. Glutathione is uniquely capable of serving the body’s challenges and then replacing itself. GSH functions as a tool for the body’s defense of both acute and chronic health challenges. As we age, we produce less GSH than we did when we were young and healthy. For optimal health and well-being, many medical and scientific sources are touting benefits of raising and maintaining Glutathione levels in the body, specially starting at age 20. 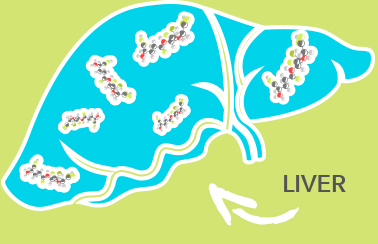 Most Glutathione is stored in the liver, which is also where most of its detoxifying action takes place. Glutathione plays a significant protective role as a powerful antioxidant by guarding against oxidative damage throughout the body. 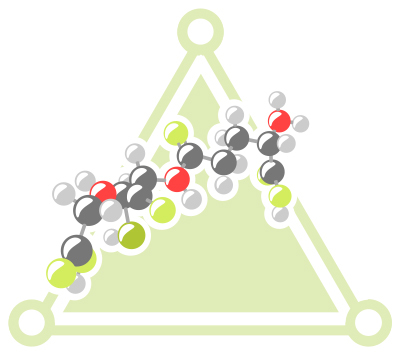 What Issues are Tied to Low Levels of Glutathione? What Could Cause Low Levels of Glutathione? Most Glutathione supplements are not stable as the three peptides degrade with exposure to oxygen. There is no research proving oral supplements are effective at this time. Intravenous supplements are effective, but they are extremely expensive (one average places them upwards of $900 per procedure), it has a short life span due to degradation (the molecule is too large for proper absorption). It may also carry side effects such as a dependence of the procedure. When you take the antioxidant intravenously, there is the possibility of shutting off the body's own production of Glutathione. Transdermal supplements are a more effective mechanism for delivering Glutathione to the body. Unfortunately, most manufacturing processes destroy Glutathione and can contain PEGs, Hormone Disruptors, Phthalates, Fragrances, DMAE and other toxic chemicals. Ensure all ingredients are toxic-free, so you won’t be harmed by additives. Research how the GHS is protected and stabilized. The best products will be produced under a Nitrogen Blanket. When Glutathione is protected from exposure to oxygen through multiple encapsulation processes, it will minimize the degradation that can occur when applied to the skin.